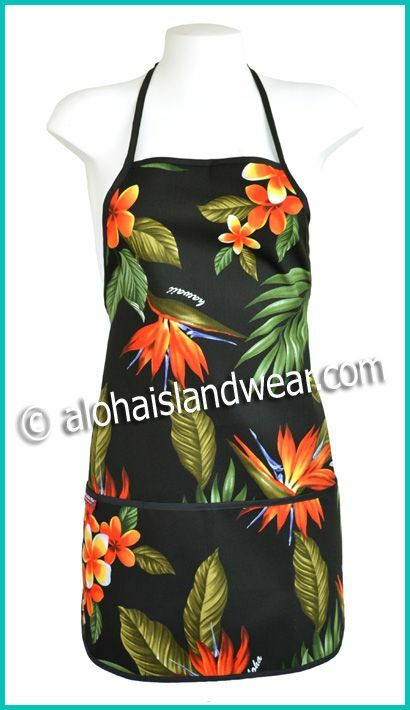 These are high quality Hawaiian floral print apron, wearing it to protect your clothes during cooking in the kitchen, grilling at outdoor BBQ, working on your craft project, doing garden work, it's also can be used as restaurant waiter's apron, great gift for someone whose love to cook, doing craft or garden work. - two tie cords around the waist line (approx. 27"), tie it for best fit. - two tie cords around the shoulders (approx. 28"), tie it for best fit. - Apron measured: 21" width X 28" length. - One size fit most. - 100% heavy canvas, machine washable. Please note: Due to the pattern were cut from random position of the fabric, the print laid out position of each apron is not look exactly same as the photo shown on this page.